Earlier this year, Amazon introduced an "Alexa Mobile Accessory Kit" with the aim of bringing the company's personal voice assistant to wearables and headphones. This week at Computex 2018, I managed to get a closer look at a pair of headphones to make use of exactly that, but with a twist. In addition to Bluetooth, the Liva Aston Smart headphones actually has Wi-Fi built-in. So as long as you hook it up to your router (you'll need the app at least once for setup), you'll then be able to use it interact with Alexa, no Echo or phone required. The company claims it is the very first pair of WiFi headphones to have Alexa built in. 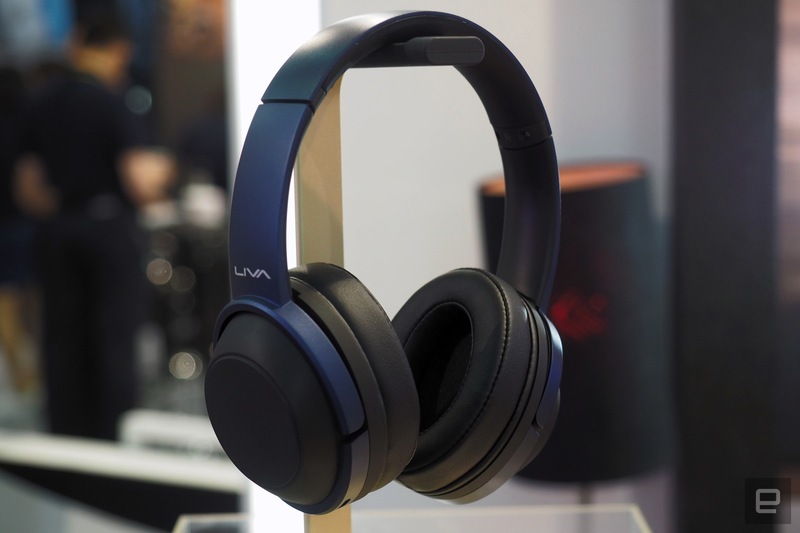 My first impression of the Liva is that they're a pretty solid pair of headphones, with a lush padded lining and comfortably soft ear cups. They don't appear to have any active noise-cancelling capabilities, but I still managed to block a sufficient amount of crowd sound out when I had them on. Of course, the main reason to get these is the Alexa compatibility. So, I tried that out. Liva's parent company, ECS, had a set up where you could control some smart lights and outlets with Alexa. Sure enough, when I said "Alexa, turn on the lights," it came on. When I said "Alexa, turn on the smart socket", the plugged-in light bulb lit up as well. You could also theoretically have it play songs from the likes of Spotify and Tunein, but the service wasn't working at the time I tried it on. Basically, anything you can do with Alexa, you can just shout that command while wearing these headphones. And if your WiFi happens to be down for whatever reason, you can of course still use these like any ol' pair of Bluetooth headphones. According to ECS, the Liva Aston Smart has a battery life of about five hours while connected to WiFi which seems a little low, but I suppose that's somewhat acceptable if you're going to be at home anyway. We'll have to review it for ourselves to see what the battery life is on just Bluetooth. Pricing and availability for the Liva Aston Smart is yet to be determined at this time, but seeing as the model was already working, it'll likely be out before the end of the year.